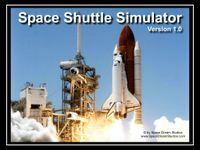 This simulator allows you to fly a variety of Space Shuttle training scenarios and missions. Mission stages that may be simulated include launch, rendezvous, docking, reentry and landing. You can also modify or create missions using the enclosed Mission Editor.